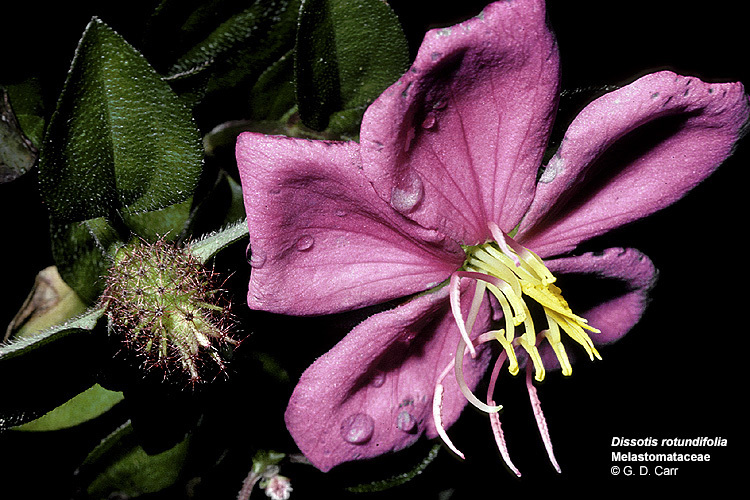 Dissotis rotundifolia, Melastomataceae, dissotis. Ornamental creeping herb from S. Africa with pink flowers. Location: Ewa corner of Farrington and Maile Way. 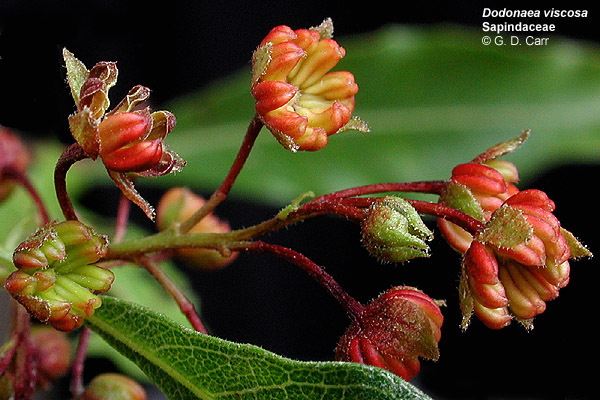 Dodonaea viscosa, Sapindaceae, 'a'ali'i. 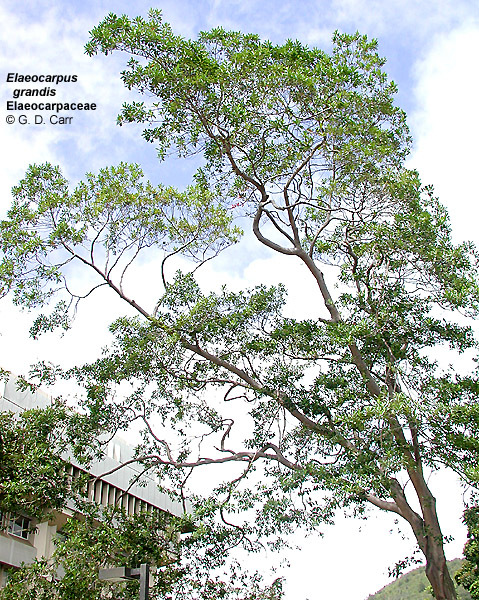 Highly variable shrub or small tree indigenous to Hawaii and widespread in the Pacific. Fruits about half an inch long, 2-4 winged, reddish purple. 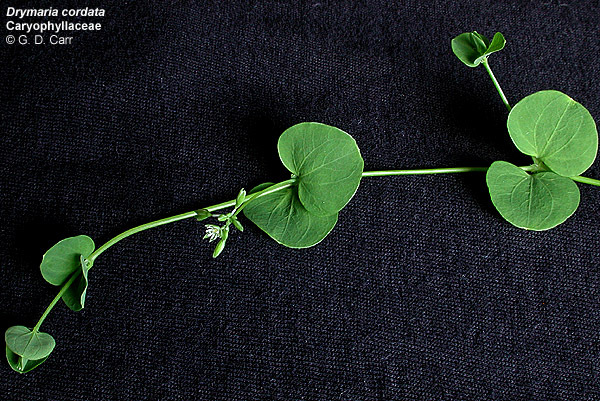 The fruit and leaves are commonly used in lei construction. Location: St. John courtyard. Dracaena marginata, Agavaceae, money tree, dracaena. Candelabra shrub from Madagascar, with slender, woody stems and tufts of sword-like leaves at the tips. If you plant this by your house, you want the branches to lean toward the walls because supposedly then the money will flow in. Location: Diamond Head of Henke; St. John courtyard. 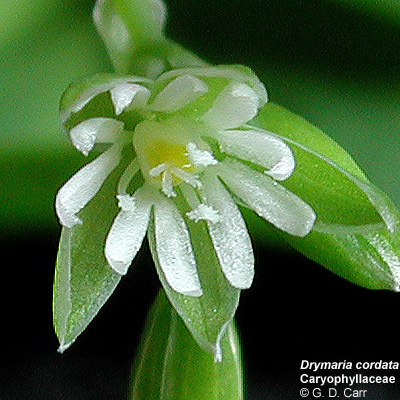 Drymaria cordata, Caryophyllaceae, pipili, pilipili. 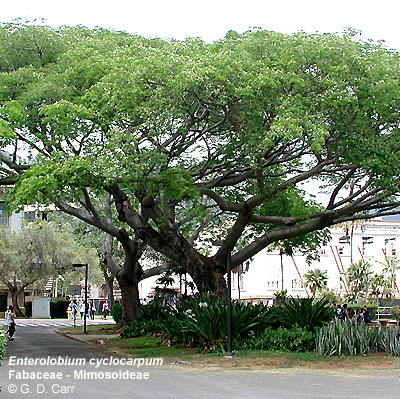 A nearly pantropical herbaceous, prostrate annual. 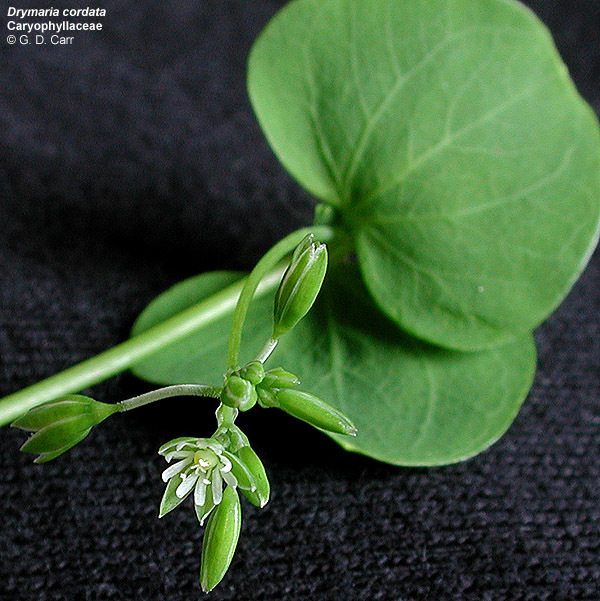 Commonly found in weedy lawns - look for it in shaded, moist sites. 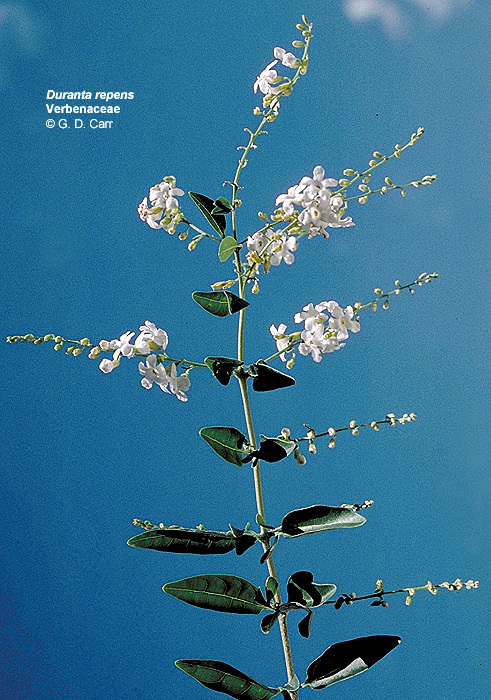 Duranta erecta, Verbenaceae, golden dew drop. 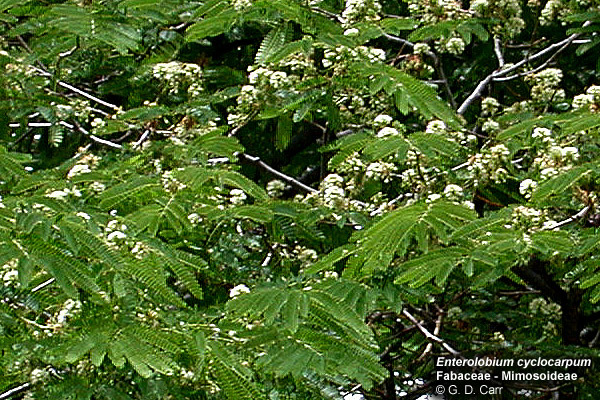 Shrub or small tree from tropical America, brought to Hawaii before 1870. 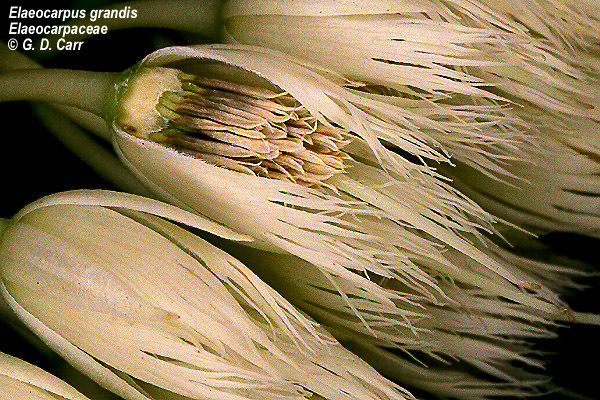 Variable; plants thorny or thornless, flowers blue or white. Location: Mauka court of Biomed Bldg. ; mauka of Burns. Ehretia microphylla, Boraginaceae, Philippine tea. Shrub from India to the Philippines with fascicled leaves and small white flowers and black fruits about a quarter inch in diameter. Location: Ewa of PBRC; High planter, makai of Hamilton Library. 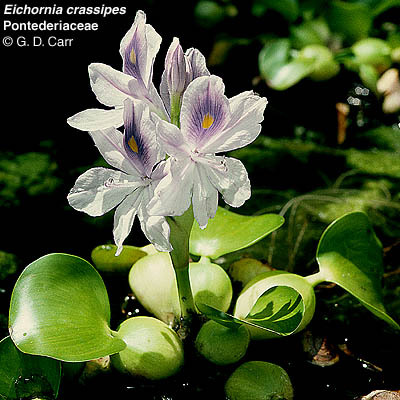 Eichhornia crassipes, Pontederiaceae, water hyacinth. Floating herb from tropical America, with orchid-like flowers and enlarged, buoyant leaf bases. 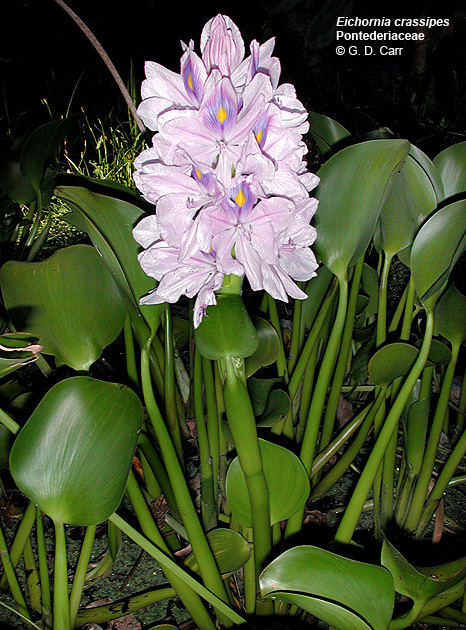 Water hyacinth is a serious pest in some areas where it may choke ponds and water courses. Location: St. John courtyard. 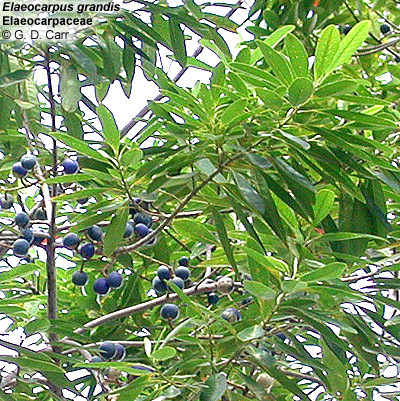 Elaeocarpus grandis, Elaeocarpaceae, blue marble tree. 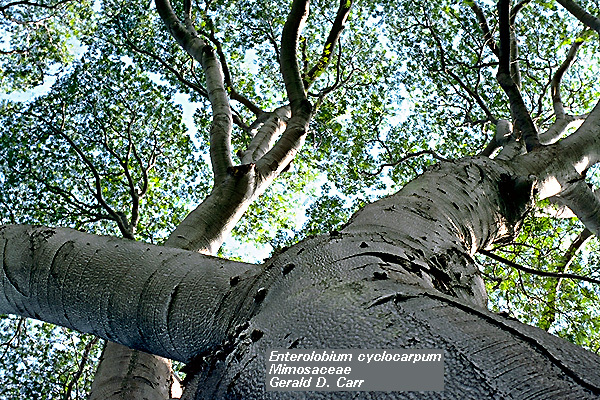 Tree, native to Australia where it is valued for its timber. 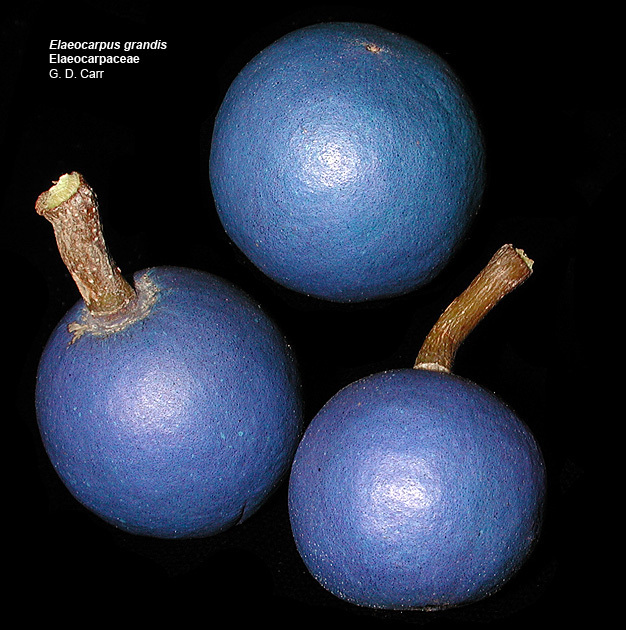 The fruits, which look like blue marbles, are edible (tasting like dates) and the blue seeds are used in seed craft. Location: Mauka of Snyder toward Diamond Head end. 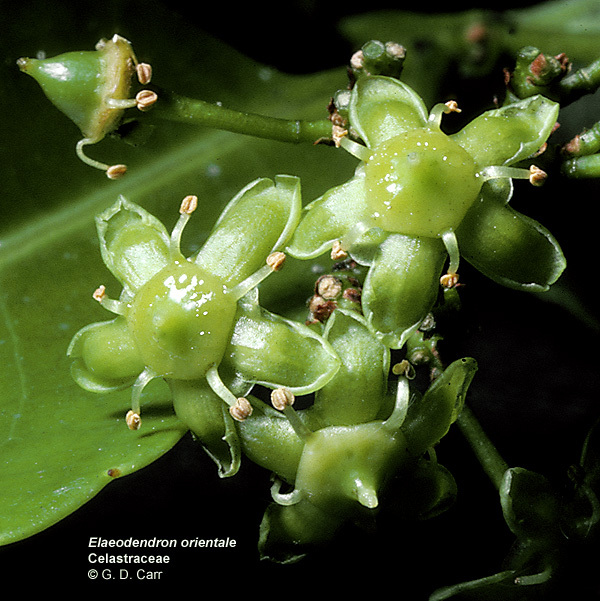 Elaeodendron orientale, Celastraceae, false olive. 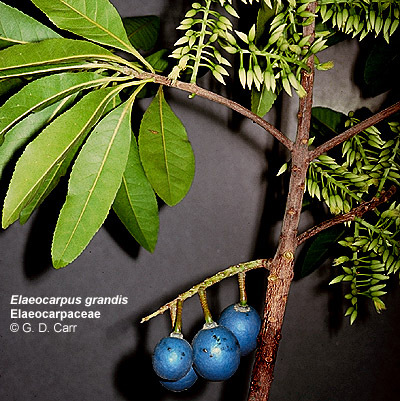 Small ornamental tree from Madagascar with clusters of tiny greenish, 4-5 parted flowers and thick, blunt, scallop-edged leaves about two and a half inches long. Location: Along Dole and E-W Rd. by Burns Hall. 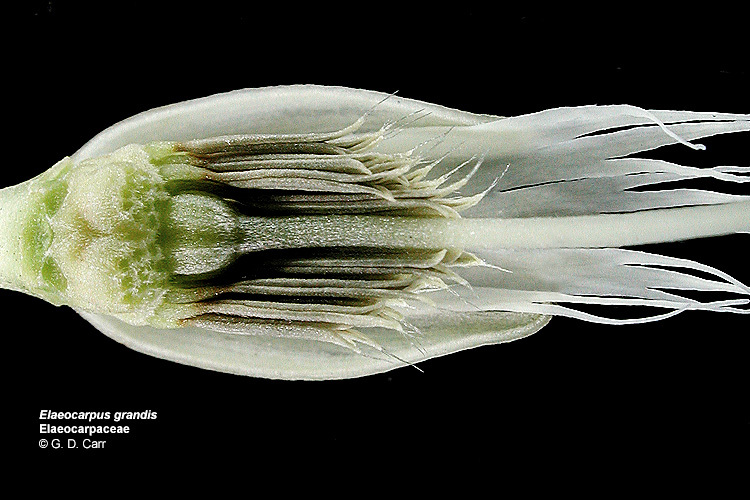 Emilia sonchifolia, Asteraceae, Flora's paint brush. 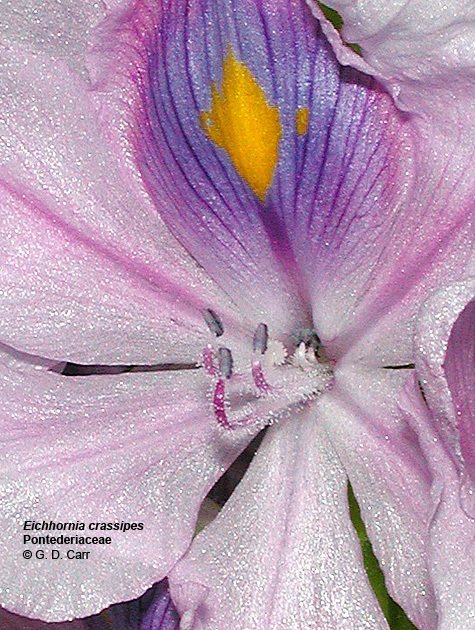 Herb from tropical Asia, with lavender to pale purplish clusters of flowers resembling a small paint brush. 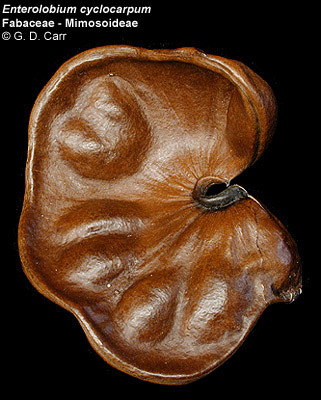 Sometimes used for food and medicine in Asia. 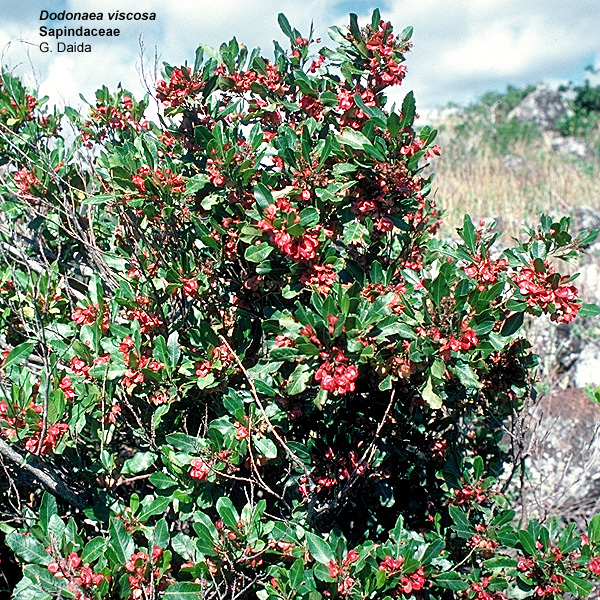 Very similar species with orange to brick red flower clusters are referable to E. coccinea or E. fosbergii. Location: Waste places; Ewa of Pope greenhouses; mauka of Biomed; makai-Diamond Head of Newman Center in weedy area. 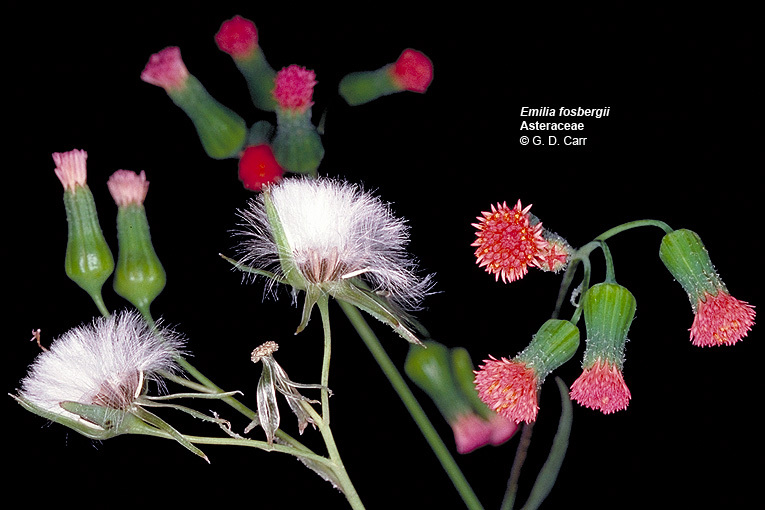 Enterolobium cyclocarpum, Mimosaceae, elephant's ear, earpod. A very large tree from the new world tropics. The timber is useful for a variety of purposes and the pods are used as food for cattle and humans. Location: Mauka-Diamond Head of Hemenway, mauka-Ewa of Campus Center. Epidendrum sp., Orchidaceae, buttonhole orchid, epidendrum. 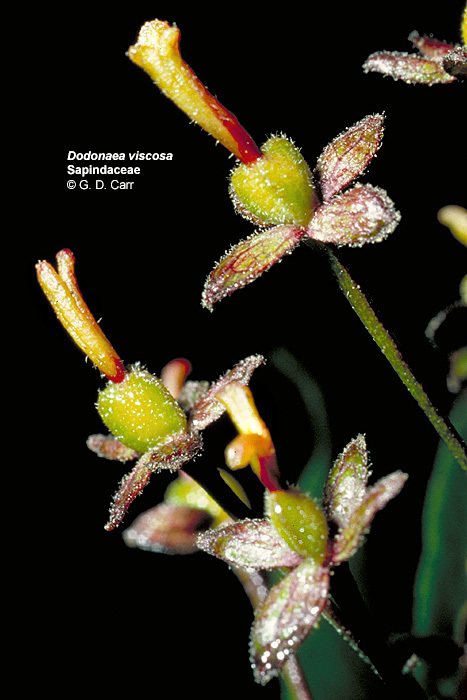 A tropical and subtropical American epiphytic, orchid genus of about 1000 species, one of the easiest groups of orchids to grow. 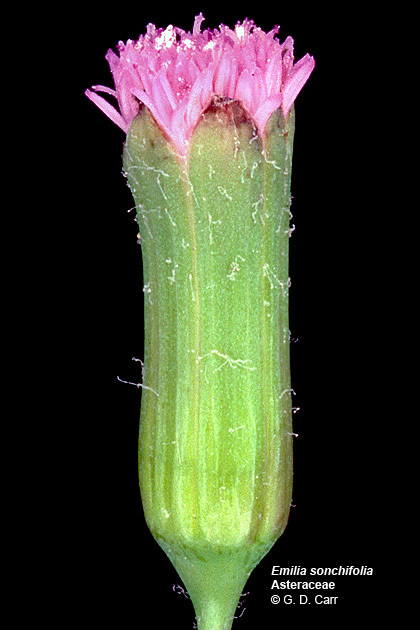 Plants commonly produce large clusters of small flowers. Location: Honolulu gardens. 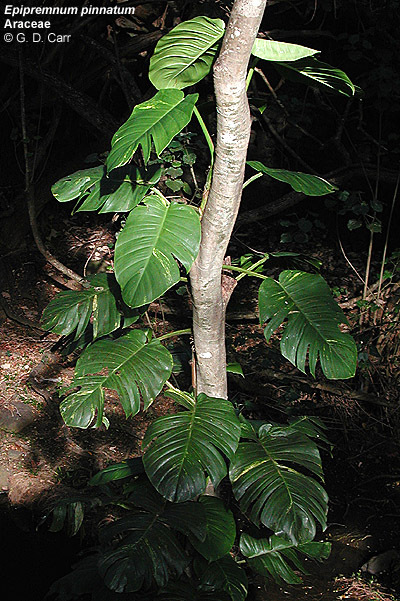 Epipremnum pinnatum, Araceae, taro vine. 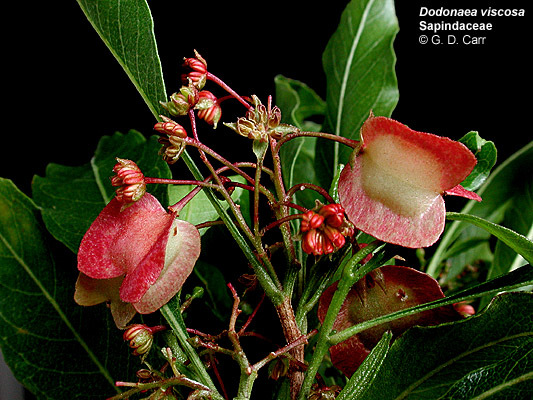 Fleshy vine from the Solomon Islands, with fairly small leaves when growing on the ground but producing large heart-shaped lobed or unlobed leaves with or without yellow patches as the vine ascends trees. Location: Near stream at EWC Japanese garden; Andrews Amphitheater; makai of Porteus; mauka of Biomed; on trees in center of Krauss Circle. 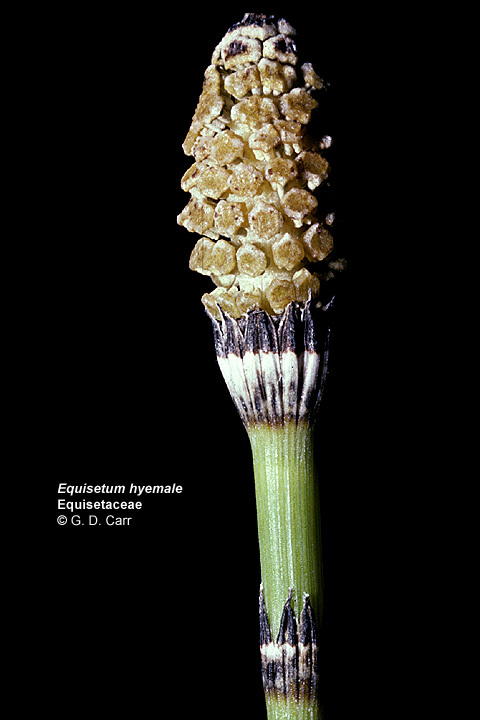 Equisetum hyemale, Equisetaceae, scouring rush, horsetail. 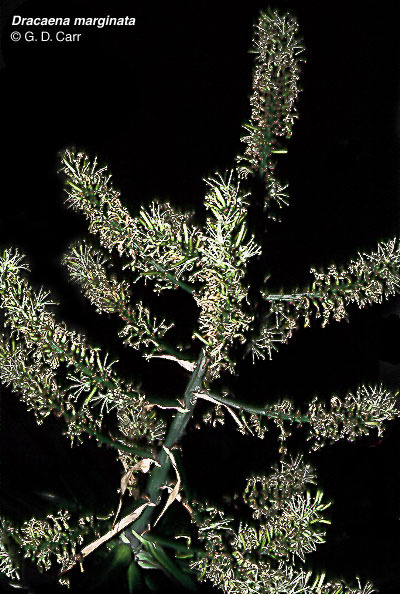 Herbs with hollow, jointed stems, tiny whorled, scale-like leaves, and terminal cone-like aggregations of spore-bearing sacs (sporangia). The cell walls bear silica (glass) and stems were used by pioneers in western North America to scour out pots and pans. Location: St. John courtyard.